In Norm’s younger years his passion was car racing and repairing drag cars and stock cars. He was a member of the National Hot Rod Association and earned the nickname “Stormin Norman” for his aggressive attitude towards drag racing. He competed and won many races. In the Maritime circuit, Scoudouc, Pennfield, Maitland and Oyster Bed Bridge, he broke track records. 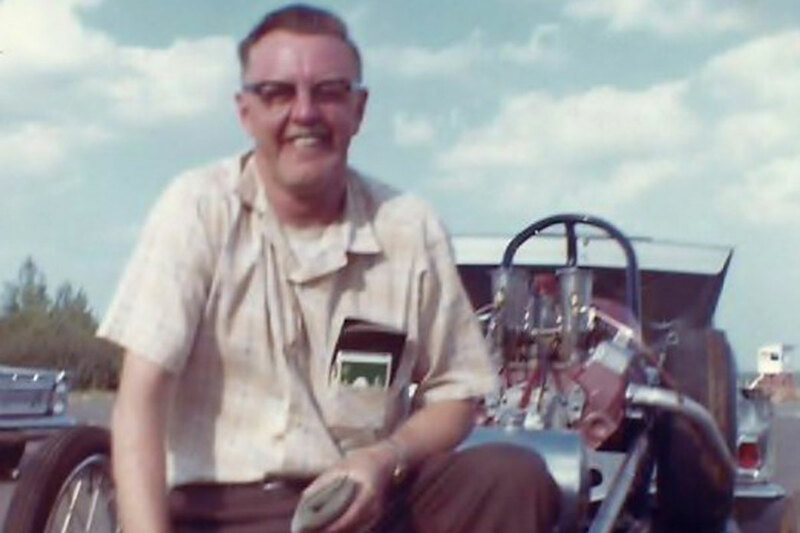 He spent many tireless hours both driving and repairing drag cars and stock cars. His cars were always well prepared. Many of his ideas of racing remain today. Norm was a mechanic, machinist, and engineer. On May 21, 1967, he set a new strip elapsed time record of 9.6 seconds and pushed the top speed mark past the 150 miles per hour driving Ozzie Daniel’s Chevy dragster, to pick up competition eliminator honors. Norm Keirstead was posthumously inducted into the Maritime Motorsports Hall of Fame.